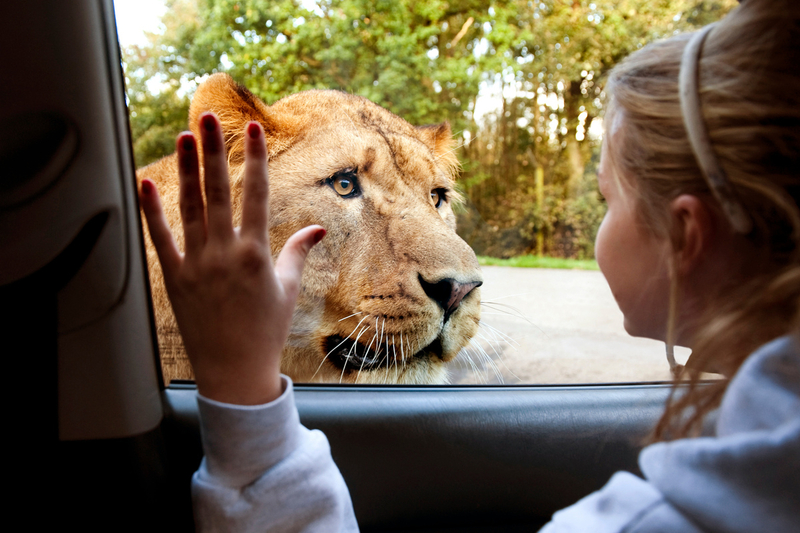 Home » News » Business News » Knowsley Safari beats target with over half a million visitors this year! Record numbers have flocked to Knowsley Safari this year, with more than half a million visitors enjoying a wild day out so far in 2014. With a 10% increase on last year’s numbers, visitor levels are once again reaching the same stage as they did before the recession struck the UK economy. This is the highest footfall at the Merseyside wildlife park for five years, smashing the 5% increase target set at the beginning of the year by park bosses. The attraction has seen a significant rise in visitor awareness this year following a review of targeted advertising campaigns. These included, for the first time, an eye-catching on-street awareness bus-back campaign in Manchester and a TV and online campaign featuring on preschool channels Nick Jr. and Nick Jr. 2. In the build up to the key Halloween school half term period, a targeted campaign through radio and digital advertising encouraged more than 20,000 visitors to get up close to Knowsley Safari’s large collection of zebras, lions, tigers and boisterous baboons. Recent high-profile visitors include Liverpool football star José Enrique who enjoyed photographing and videoing his trip into the baboon enclosure at the park. “We are extremely pleased with our performance this year and have invested in both additional awareness campaigns to reach a wider audience, and worked to introduce a wider mix of animals to the park, including the addition of our Iberian Wolves and Kiang.